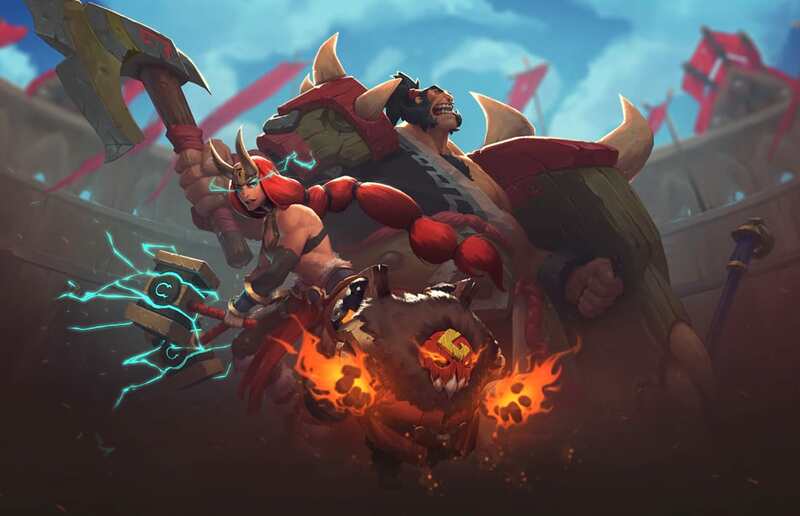 Battlerite is a multiplayer action game extremely focused on PvP developed by Stunlock Studios, and that had its development based on the game Bloodline Champions, of the same company. As the game is in early access, it is possible that some things said here will be changed until the official launch, but the main premise is sure to be maintained. 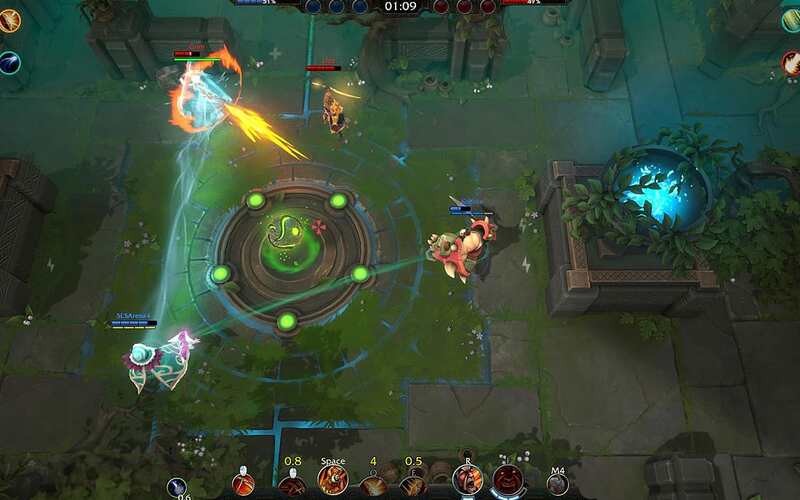 Battlerite is an arena-style multiplayer action game. With regard to history, little can be said about Battlerite. 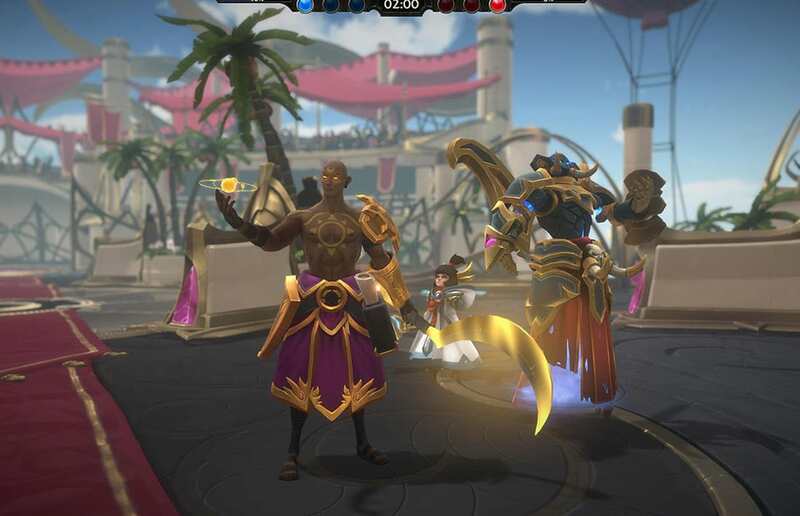 Its predecessor, Bloodline Champions, is a game that was rich in history, but so far, Battlerite has nothing but the separation of the characters according to their origin: North, South, East and West. We can imagine that, after the game gets out of early access, some plot appears. Regarding the gameplay, the game had several inspirations, but its proposal is quite simple: an arena where rival teams of 2 or 3 players fight to the death. The game is extremely focused on combat, where matches are extremely fast as they consist of a better five rounds of no more than three minutes each. Then the team that eliminate the other three times wins the match. Battlerite has no items, runes, masteries or any kind of generic enhancement. Instead, it has so-called Rites that are temporary enhancements specific to your character. In each new round you can choose one of three Rite options, with the exception of the last one, with only 2 options. They can be offensive, defensive or supportive and it is up to you to choose the best option for each situation. In terms of combat mechanics, the game is a more streamlined version of what you would find in a current Moba. The archetypes of skills are very simple: every champion has a skip or dash , a skillshot , a way to defend himself, a way to make the enemy disabled and 2 ultimates , one that costs 1 bar of energy and is weaker, and one which costs 4 energy bars and is your strongest skill . This ends up restricting a little creativity you have in the champions, since, in terms of skills , they are all very similar. But other than that, what was put into the game fits well. Battles happen naturally; are intense and fun. They occur on some different maps which brings a change of air necessary to not make the experience repetitive. But there is one element that repeats itself in all, which is the central point of control. It forces teams to fight in the middle of the map to get an energy bonus that is needed to be able to use the ultimatums. In addition , energy and life orbs appear in some places on the map, making battles more interesting and challenging. Another element that directly impacts the battles is the fog that restricts to the player’s vision, but also offers a form of refuge and disengage . It is then possible during the fights to use this strategically to regroup or corner the enemies. It’s a way to make battles less similar and repetitive by adding external elements to the combat system itself. At the end of the match you will gain experience with the champion played and as you take levels in it will gain rewards, something similar to what we see in Heroes of the Storm. The rewards can be cash or chests that contain cosmetic items like avatars, poses, skins and more. In the same style as the Over watch Loot Box . In addition you can still do daily missions to get rewards. Just like what we see in Heart stone. You can see that Battlerite sought influences in great games of the present time and managed to merge all this. On the graphical side, Battlerite is very good. The arenas were created with a lot of attention to detail and the animations of the skills are excellent. There is a difference in the saturation between the colors of the scenario and the colors of the skills, which is quite simple but it helps a game where the focus is the battle because the visual feedback of what the player is doing and what is happening around is clearer, thus facilitating combat. In addition, the show of lights and effects that have seen the battles is also very cool. The angle of the camera was very well thought out. The field of view is wide enough so that the camera does not disturb during battles that are very frantic. They also took care of the realism of this field of vision: there is a blur applied to the structures and elements of the arena to create a sense of focus and depth in combat. They are small details, but they make the game more beautiful and pleasant. The game also has full support for ultrawide monitors and has no FPS drop issues , not even during the most intense fights. Perhaps the only problem with the visual part is the interface, which is pretty ugly to speak the truth. Not that it will hinder the game, but since the game’s proposal is for quick matches, you will return a lot to the game interface and spend a lot of time there during the matchmaking . This is why you see games like League of Legends trying to create beautiful and pleasant interfaces to make the player experience better while waiting for the games that are often frustrating times and can be sometimes time consuming. In a game that focuses on the combat, it is expected that all the actions of the players had an auditory feedback to aid in navigation and the fight. Well, at Battlerite we can not complain about that. All skills have their own sounds and the variety of sound effects employed is great. Just as they were careful with the visuals of the skills, so did the sound. The music of the game is little varied and has the main function of letting players in the mood of battle. She is good but does not react with changes within the arena with the exception of sudden death. It’s a subtle way to add more tension to the fight. But as the sound effects are more important to the flow of the game, the music ends up being behind, giving a lighter help in creating the player experience. In addition to the sound effects and music, it is worth saying that All the champions have their own voices. It’s a simple but well-made element of the game that even helps combat: as each character will have a specific speech for certain abilities like the ultimate or certain situations, this helps to understand what is happening as a whole in the game. The voices are nothing extraordinary, but they are cool and consistent with the characters. The only pity is that there is no option dubbed in Portuguese. The game is a lot of fun, fast matches avoid certain stresses like in Dota 2, where you spend 50, 60, 70 minutes in a match and end up losing for some silliness. 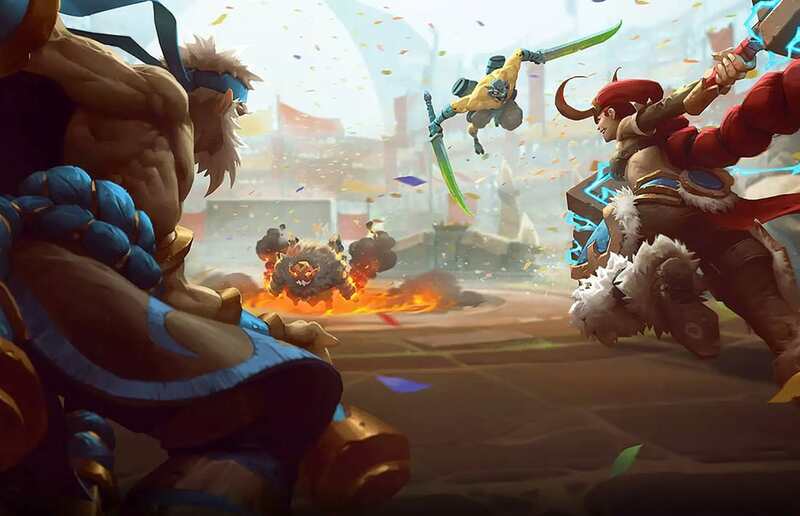 At Battlerite, the longest you’ll lose is 15 minutes in an extremely fierce match. Although the game has a price, this value corresponds to the early access. When the game is finalized and released, it will be free, and the access purchase will guarantee the players the unlocking of all the available characters, while the free player must buy the different characters through the internal coins of the game.